And then we graduated to some fancy kits like marbled eggs or fancy swirly eggs. 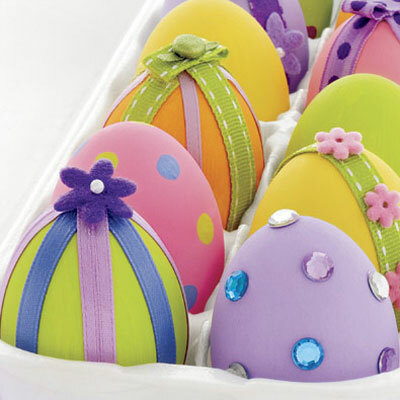 One year we made beaded eggs by gluing tiny little beads all over the eggs. 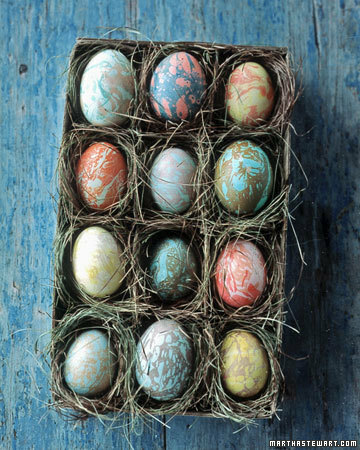 Aren't these speckled eggs gorgeous? 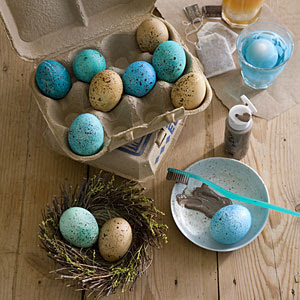 I think I need to try to make some of these this year. 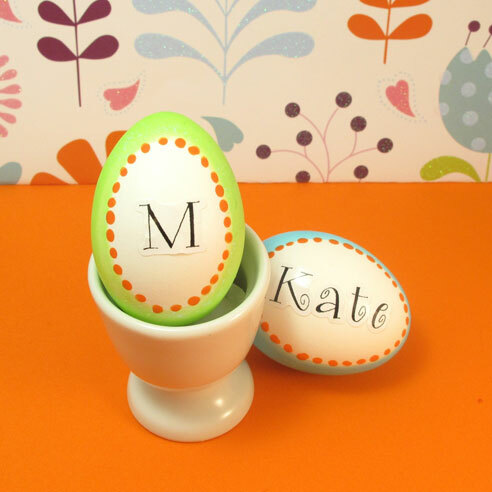 The past few years we have learned to perfect our technique using painters tape to make designs and words on our eggs ... those are my favorite! 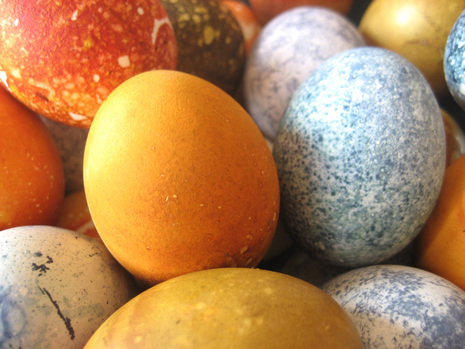 I really enjoy these natural looking eggs! 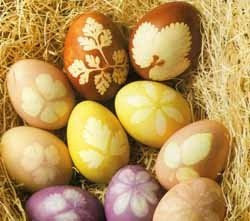 This year I am planning on decorating Easter eggs with some new girls. 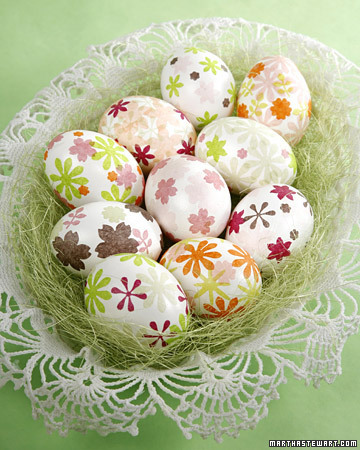 Our small group Bible study "girls" are going to decorate eggs for our local rescue mission. I'm not sure if we will add embellishments such as these or just dye them more traditionally, but I am excited to be able to share a little joy with some people who have so little. 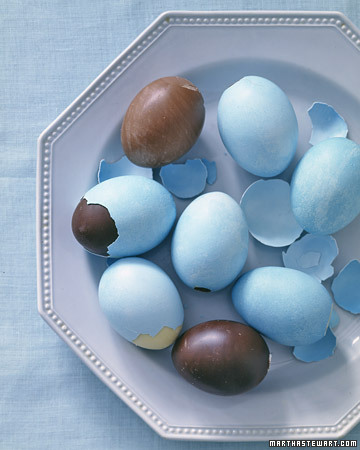 And wouldn't this be a sweet surprise ... chocolate instead of hard-boiled eggs? 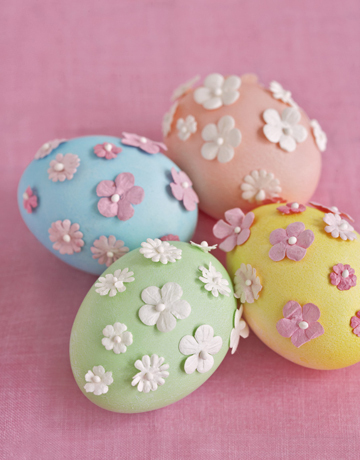 I would love to surprise my family with eggs that cracked open to be filled with chocolate - now that is an egg! 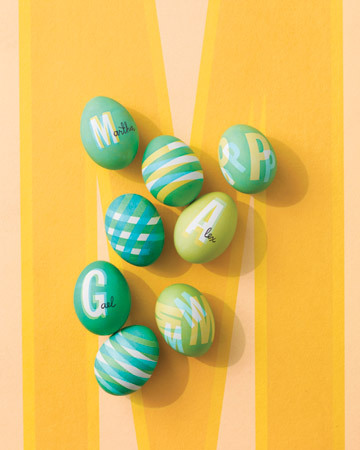 These are all great...I think we will try your suggestion to use painters tape this year. I'm just happy my kids will still do this together. Lovely egg insiration! 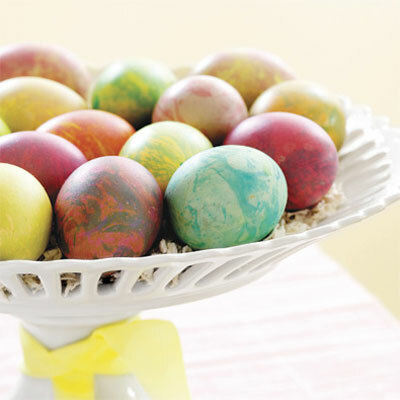 I grew up dying eggs also and continued with my children. Now that they are older, we don't but still do baskets. 2 yrs ago I thought they were over it and casually mentioned maybe no baskets. Boy was I wrong! (ages 23, 19, 17)! So we still do baskets even though they are now 25, 21, and 19. 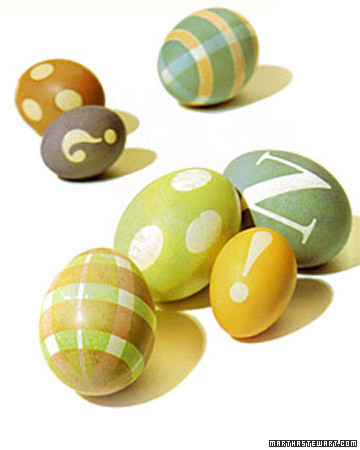 How fun are the eggs filled with chocolate! Love this idea!